The relationship between God and God’s slaves is not always peaceful. 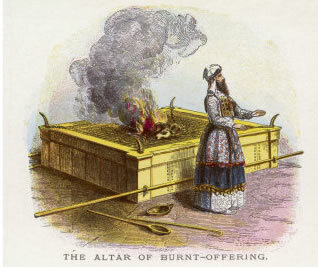 The book of Numbers/Bemidbar in particular, which we begin next week in the annual cycle of Torah reading, reports many incidents in which thousands of Israelites refuse to do what God asks, and God kills them. Call out homage to God, all the earth! Come before him with a shout of joy! His people and the flock he is tending. And his faithfulness goes on from generation to generation. A song for ascending [stairs]. Be gracious to us, God! For we have had too much contempt. It is moaning over contempt from the arrogant. When life is going well, we rejoice in serving a God that is kind and faithful to us. When life is going badly, we look for God anxiously and beg for succor. Both of these psalms imply an external god who owns us. But on another level, they can speak to an inner psychological truth: we do not fully own ourselves. In today’s world, some people are still slaves to other human beings. But even those of us who are relatively independent have only limited freedom to make our own decisions. Most of our behavior is determined by our history, habits, complexes, and abilities. Usually our conscious minds merely notice what we have already done—and instantly generate reasons for our unconscious decisions, to keep up the illusion that we are our own masters. Only occasionally does a new bit of information stop us in our tracks, so that we take the time to think out a new response to life. Only occasionally are we truly free. Is God the mysterious force that determines the physical and mental operating systems for all creatures, like a master commanding his slaves? If so, we can praise God when things happen that we consider good, and wait with trembling for the next move in God’s plan when things happen that we consider bad. And we can consciously develop a habit of noticing and praising the good that comes our way—the food our master gives us, the beauty of a view, the companions assigned to us, the times when our required behavior is pleasant. Or is God what we encounter in our moments of freedom? If so, we can cultivate a habit of watching for other moments when we might seize the chance to do something new, and of welcoming the sudden uncertainty when we pause, trembling, and open ourselves to inspiration. After drinking, eating, talking, and singing our way through the Haggadah, we still have six more days of Passover/Pesach. 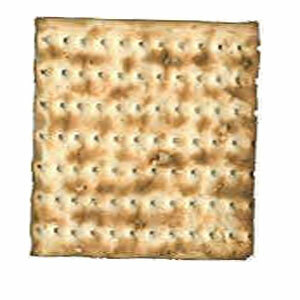 What do we do besides continuing our matzah diet, unleavened by any bread? One of the 14 steps in the seder follows us all week: the Halleil (הַלֵּל = praise), consisting of Psalms 113-118. The Levites sang these psalms in the second temple1 during the three pilgrimage festivals to Jerusalem: Pesach, Shavuot, and Sukkot. 2 All three festivals originated as harvest celebrations: Pesach for the first barley harvest, Shavuot for the first wheat and first fruits, and Sukkot at the end of the growing season, for all the other crops. A harvest is a good reason to celebrate and praise God. In my years of organizing Pesach seders and Shavuot and Sukkot services, I have been grateful that the Halleil includes Psalm 118. Why? Because the good lines in that psalm have inspired song and chant writers to come up with melodies. 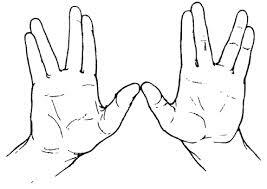 Now, for the rest of the week of Pesach, I have the perfect excuse to keep on singing them! Ki le-olam chasdo! 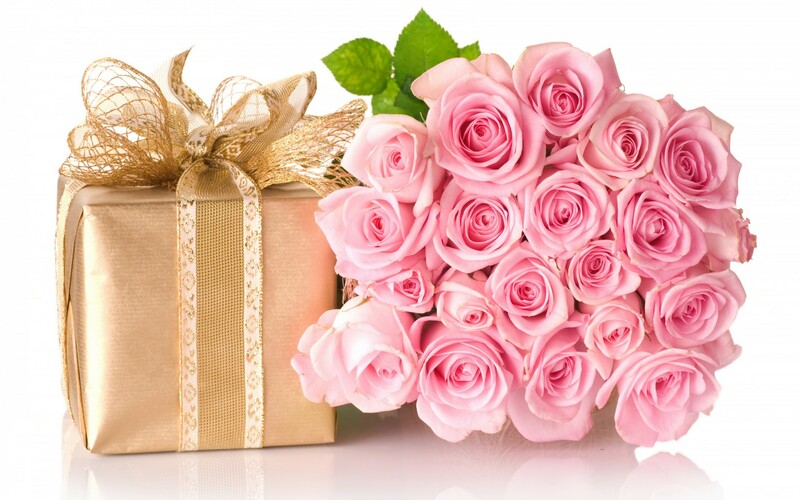 Because its kindness is everlasting! 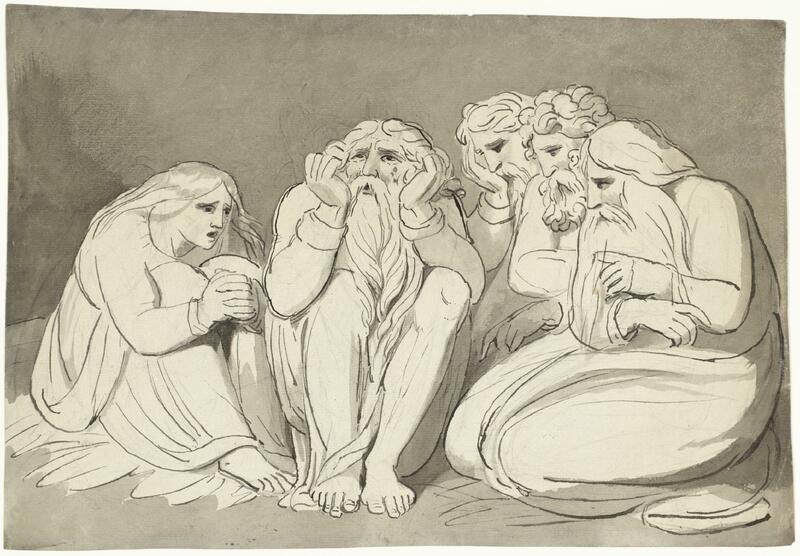 yirey (יִרְאֵי) = those who are afraid of, those who are in awe of. It is tempting to consider the “yirey God” as the “God-fearers” of the Hellenistic period (the first through third century C.E.). This was the name for people who had converted to worshipping the God of Israel, but did not go so far as to follow all the rules (such as circumcision). One argument for this interpretation is that 118:4 calls for a class of people who are not “Israel”. An argument against this interpretation is that Psalm 118 was probably written well before the first century C.E. 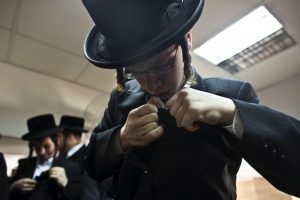 I can identify with the “yirey God”, despite my conversion to Judaism over 30 years ago, because I am not an ethnic Jew. When the psalms were written, there were few apostates and few full converts; most of the people called “Israel” belonged by both birth and religion. Today, when many people with Jewish ancestry live with no ties to the Jewish religion, and many converts are passionately engaged in that religion, I would appreciate a separate call for Jews by religion.4 We, too, can use a reminder that God’s “kindness is everlasting”. vayehi li liyshuah. and it became my rescue. This line also appears in Exodus 15:2 in a song attributed to Moses, and is quoted in Isaiah 12:3. When I sing verse 118:14, I imagine that singing in praise of God is giving me enough extra psychological strength to rescue me from my troubles. Avo vam odeh Yah! I will enter and praise God! Tzadikim yavo-u vo. The righteous enter through it. tzedek (צֶדֶק) = righteousness, what is right, what is just. tzadikim (צַדִּיקִים) = (plural) the righteous, those who are innocent and in the right, those who act according to morality and justice. 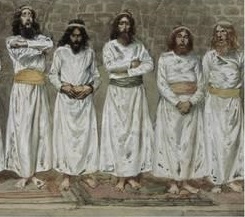 When the Levites sang Psalm 118 in Jerusalem, the “gates of righteousness” probably referred to gates in the second temple complex.6 The pilgrimage festival may have included a ritual in which the double doors of a gate opened and the Levite choir sang while Judeans filed through. 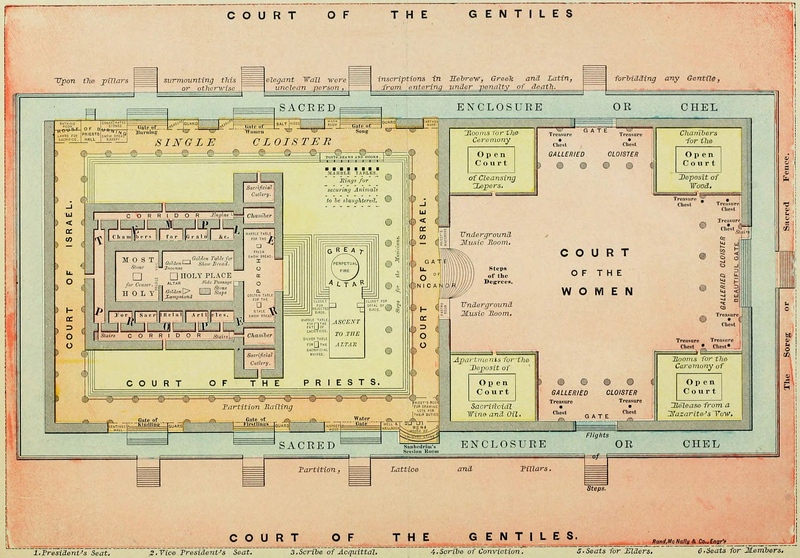 The second temple had gates from the city into the outer courtyard (the “Court of Gentiles”); three gates from the outer courtyard into the eastern inner courtyard (the “Court of Women”) which only women and men of Israelite descent or full converts could enter; one gate from that court into the “Court of Israel” (for men only) with its view of the altar; and a curtained gate into the vestibule of the temple proper, which only priests were allowed to enter. Was coming to the temple and worshiping the God of Israel enough to make someone righteous? Or did stepping through the designated gate express a desire and commitment to become righteous? The first time I sang this part of Psalm 118, I felt as if I were pretending I was already righteous and commanding the gates to open for me. Then I realized that the request in 118:19 could also be a plea. Now when I sing, I beg for the gates of righteous to open to me, so that I can receive whatever I need to become righteous. Rashi7 wrote that the “gates of righteousness” were the entrances to synagogues and study halls. I would agree that these are places where one can become more enlightened about righteousness—through an emotional channel in a synagogue service, and through an intellectual channel in a study hall. But personal gates of righteousness may also open to us, if we ask. As I sing Psalm 118, using different melodies for different sections, I think of God in terms of infinite kindness; I feel the strength of a divine source entering me as I sing to God; and I humble myself to pray for the ability to become righteous. Scholarly consensus is that Psalm 118 was written during the time of the “second temple” in Jerusalem. The Babylonians razed the first temple dedicated to the God of Israel in 586 B.C.E. 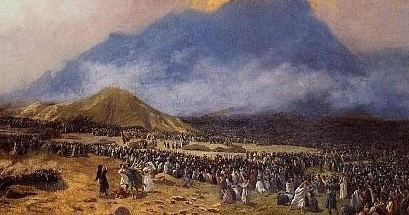 After the Persians conquered the Babylonians, King Cyrus decreed that exiles could return to their original lands and rebuild sites of worship. Under Ezra and Nehemiah, returning exiles from Judah laid the foundations of a second temple on the site of the old one in Jerusalem. The temple was completed in 516 B.C.E. The Talmud determined that only the “Half Halleil”, which abbreviates Psalms 116 and 117, should be recited during the last six days of Pesach (Arachin 10a-b). Converts are currently called “Jews by choice”, but I do not want to exclude people of Jewish ancestry who also choose to practice Judaism. In this verse only, zimrat is often translated as “the might of” or “the strength of” . Yet the root verb zamar, זָמַר, means “pruned” in the kal form, and “sang praises” or “made music” in the pi’el There is only one verse in the Hebrew Bible in which zimrah or zimrat is not translated in terms of music: Genesis 43:11. There Jacob lists six products he considers zimrat the land: four kinds of aromatic resin, fruit syrup, and almonds. All these luxuries come from trees, and therefore could be considered “prunings”. Samson Raphael Hirsch (19th century), The Hirsch Tehillim, Feldheim Publishers, Nanuet, NY, 2014, p. 968; Robert Alter, The Book of Psalms, W. Norton & Co., New York, 2007, p. 417; The Koren Siddur (Nusach Sepharad), commentary by Rabbi Jonathan Sacks, Koren Publishers, Jerusalem, 2012, p. 771. Vigilance can be contemplative, as when one keeps a vigil. Or vigilance can be stressful, as when one keeps watch for the least sign of trouble, afraid to blink. 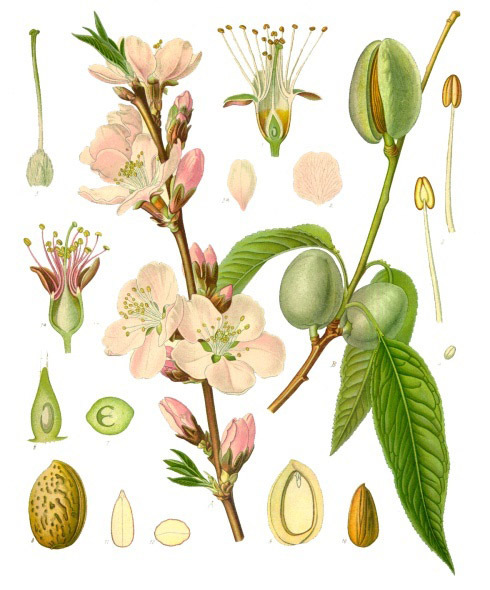 In last week’s post, Terumah: Tree of Light, I explored how the Hebrew word shakad (שָׁקַד) has two different meanings: “it was like an almond”, and “he was vigilant”. 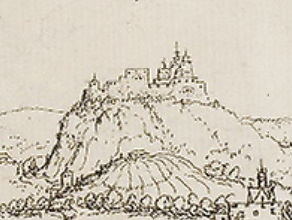 In the Hebrew Bible, some words based on shakad describe how the menorah is made like parts of an almond tree.1 Others refer to God’s vigilant attention to the Israelites,2 human vigilant alertness for chances to do evil,3 a leopard watching vigilantly for someone to leave a town and become its prey,4 and people who stay awake and alert at night.5 One appearance of shakad that refers to staying alert at night is in Psalm 127:1. This week I noticed that Psalm 127 as a whole is a meditation on the anxiety of vigilance and the serenity of acceptance. Humans are easily gripped by anxiety. In simple situations, a bit of anxiety can be helpful, motivating a person to take action against a threat, or to create a more secure life. But continuous anxiety, like continuous suffering, damages both one’s physical health and one’s ability to make good decisions. Psalm 127 begins with three different examples of how we cannot guarantee our own security, no matter how much we do. Knowing this makes humans anxious. How can we find serenity despite our insecurity? According to Psalm 127, the answer is God. In vain do its builders labor. bayit (בַּיִת) = house, home, household; temple. Psalm 127 is dedicated to King Solomon, who built the first Israelite temple in Jerusalem. 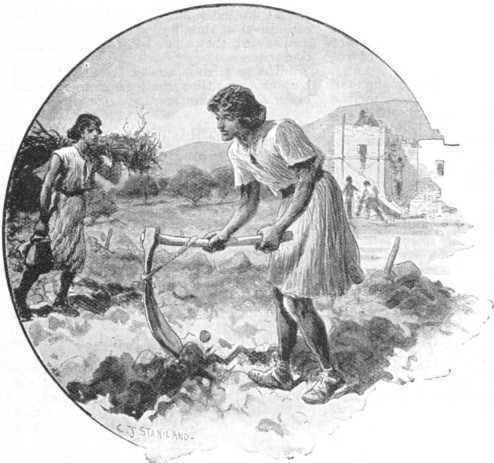 He implication is that despite all the fine materials and the labor by both willing craftsmen and temporary slaves (corvée labor), the temple could not have become a home for God if God had not chosen to dwell there—or had not been welcomed into the hearts of the people. The word bayit also means a physical house providing protection from the weather, wild beasts, and enemies; a home providing a place to rest in comfort and security; and a household or family providing mutual support. 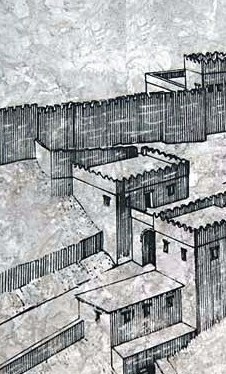 A walled city also provided protection, security, and mutual support for its residents. Its watchmen served as guards to sound the alarm if they saw anything threatening. Today nation-states are supposed to fill the function of ancient cities, protecting their residents from external attack and internal crime, and providing systems for mutual aid and support. The point of the first verse is that no matter how hard we work to achieve security, we cannot guarantee it. A house with locks and alarms and bars over the windows might still be smashed by a bomb or an earthquake; while setting the locks and alarms and seeing the bars help to keep the inhabitants in a state of useless anxiety. A nation with walls and guards on its borders, and X-ray machines in its airports, is still not safe from its own natives (especially when they are armed); while talking about “homeland security” generates more useless anxiety. Real security comes not from anxious labor, but from a different state of mind, which this psalm attributes to God. The next verse of Psalm 127 remains a puzzle for translators and commentators. 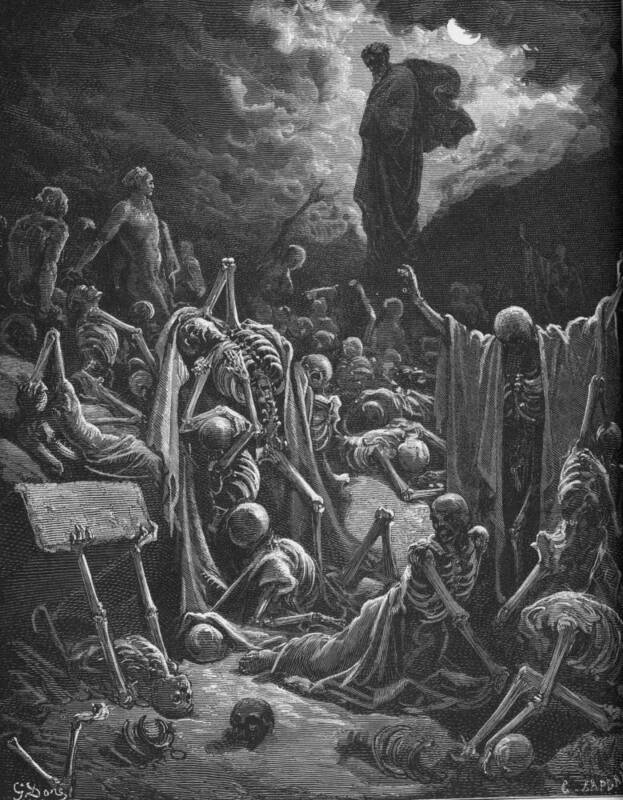 “… accursed is the earth on account of you; in suffering you shall eat from it all the days of your life. Thorns and thistles it will sprout for you… By the sweat of your face you will eat bread …” (Genesis 3:17-19). The third verse of Psalm 127 points out that childbirth can be viewed either as a hardship or as a reward. The praise of having children continues from the male point of view. So are the sons of youth. Who fills his quiver with them. In vain does a man seek security. In vain does our household exist. How to speak to an enemy in the gate. Psalm 102:8, Psalm 127:1, Job 21:32. “An ordinary person, once he becomes aware of this inadequacy of all human endeavor, will worry without cease; he will be driven to overtax his energies; he will lose rest and sleep, and he will be unable to enjoy the very bread he eats. But it is through this same knowledge of inadequacy of all human effort that he who is aware of God’s tender love, of His friendship, as it were (ידיד is passive, i.e., ‘beloved’), will acquire that serenity which will enable him to sleep in peace.” (Samson Raphael Hirsch, The Hirsch Tehillim, translated by Gertrude Hirschler, Feldheim Publishers, New York, 2014, pp. 1049-1050.) Hirsch was a 19th-century Orthodox rabbi. The Hebrew words I translate as “suffering”—atzavim (עֲצָבִים) in Psalm 127:2, itzavon (עִצָּבוֹן) in Genesis 3:16 and 3:17, and etzev (עֶצֶב) in Genesis 3:16 all mean “suffering, hardship, pain, distress”. All three words come from the same root verb, atzav (עָצַב), which means “caused suffering or pain” in the kal form, and “felt distressed, anxious” in the nifil form. The belief that only God opens or closes a woman’s womb appears in Genesis 29:31, 30:2, and 30:22; and 1 Samuel 1:5-6. 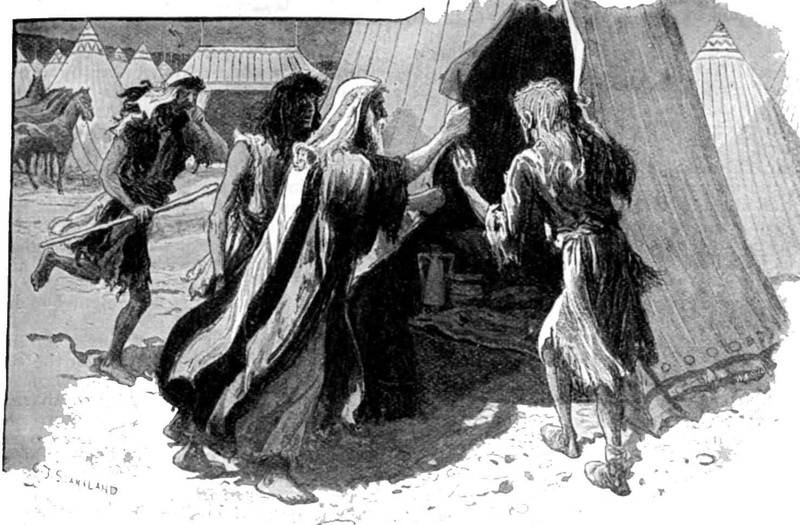 Skilled artisans among the Israelites make all the items for the portable tent that is to be a dwelling-place1 for God in the Torah portion Vayakheil. 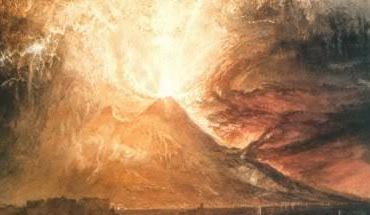 Moses then assembles the new Tent of Meeting, the divine fiery cloud covers it, and the glory of God fills the inside in the next Torah portion, Pekudei. The golden calf was a mistake, but this time the Israelites got it right! The success in this week’s double portion, Vayakheil-Pekudei, completes the book of Exodus/Shemot. 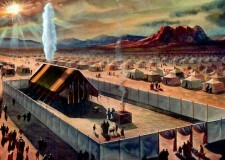 The focal point for God’s presence is the empty space above the ark inside the inner chamber of the tent. 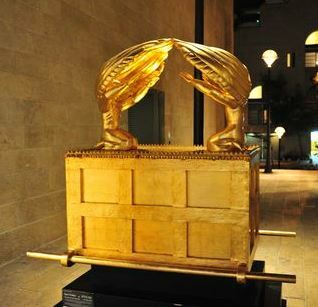 The ark is a gold-plated wooden box holding the second pair of tablets Moses brought down from Mount Sinai. The master-artisan Betzaleil hammers out a solid gold lid for the ark—not just a slab of gold but a sculpture, with two winged creatures rising from the lid in one continuous piece of gold. 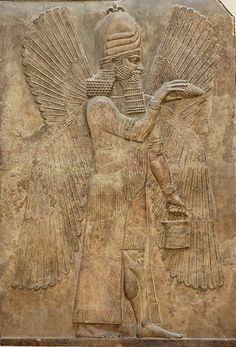 The Hebrew word keruv may come from the Akkadian word kuribu, “blessed ones”, their name for the colossal statues of hybrid winged beasts guarding doorways and gates. 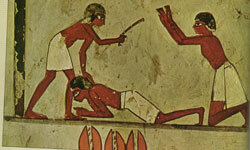 Commentators have speculated that keruvim might have the bodies of bulls (like Assyrian shedu) or lions (like Egyptian sphinxes or Phoenician lammasu) or humans. Raanan Eichler has made a good argument that the keruvim spreading their wings over the ark must have stood upright on two legs, and therefore probably had human bodies. Hybrid beings with wings and human faces appear in many Ancient Near Eastern sculptures. When they are not demons battling heroes, they are either guardians of gates, or servants transporting a god. Keruvim in the Hebrew Bible are never demons, but they do appear as both guardians and transportation. Assyrians placed sculptures of shedu, winged bulls, as guardians at either side of a gateway into a city or palace. Another guardian figure, called Gud-alim by Sumerians and Kusarikku by later Mesopotamians, represented a door-keeper who protected a house from intruders. He stood upright and looked fairly human, except that he often had wings, horns, or a bull’s legs. In some depictions he carries a bucket. Phoenician artworks from coastal cities west of ancient Israel and Judah also feature a pair of hybrid winged creatures on either side of a tree of life. Their tree of life is a composite of a lotus and a papyrus (borrowed from Egyptian art) and sometimes a palm tree. 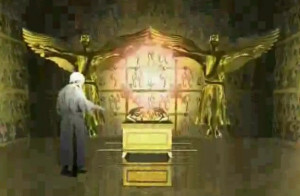 One of Ezekiel’s prophesies compares the king of Tyre with a keruv that is supposed to protect its city.4 In an earlier post, Terumah: Cherubs Are Not for Valentine’s Day, I suggested that since God speaks to Moses from the empty space above the ark,5 the two keruvim are also guardians of an entrance: a portal to the invisible God. The gods of other religions in the ancient Near East rarely rode on the backs of winged creatures; instead they used these creatures to pull their chariots. Tarhunz, the high god of the Luwian people living north of Canaan, was in charge of weather and war. He used lightning as a weapon, and rode in a chariot pulled by winged horses. 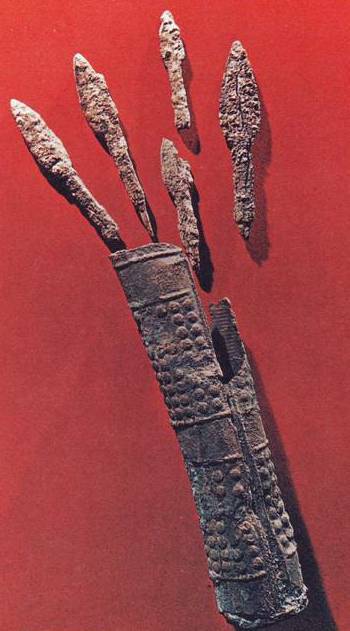 South of the Luwians and north of Israel, the Canaanites of Ugarit worshiped Baal Hadad (“Master of Thunder”), a weather and war god who also wielded lightning. 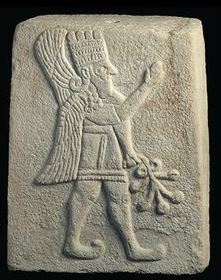 The Ugarit writings call this Baal “Rider of Clouds”. 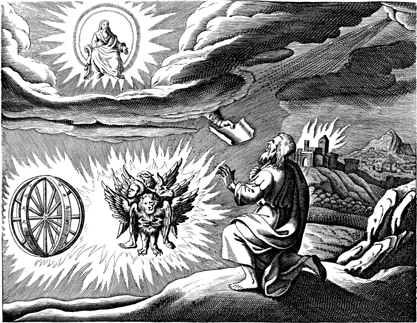 God’s cloud chariot is pulled by keruvim in a poem that appears twice in the Bible, once as chapter 22 in the second book of Samuel, and later (with only slight changes) as Psalm 18. 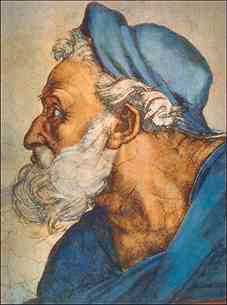 The speaker, King David, faces death at the hands of an enemy army, and calls on God for help. God descends from the heavens. And fire from His mouth devours. And a thundercloud was beneath His feet. I use the pronoun “He” in this translation because God is presented as if “He” were Baal Hadad from the Canaanite pantheon of male and female gods. Psalm 18 continues with imagery of dark clouds, hail, thunder, and arrows of lightning. God then stages a dramatic rescue, and David wins the battle. 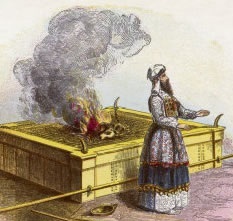 The ark with its two keruvim is often considered God’s throne in the Bible—the authoritative location where God sits like a king. But sometimes this throne is movable, like a chariot. Before David conquers Jerusalem, when the ark is housed in a temple at Shiloh, the Israelite army decides to carry it with them into battle against the Philistines, hoping that God will fight for them. The title is also used in psalms 80 and 99. Listen, Shepherd of Israel, You who lead Joseph like a flock! God, King, the peoples will tremble! The Babylonian army razed the first temple in Jerusalem in 579 B.C.E., burning it to the ground. 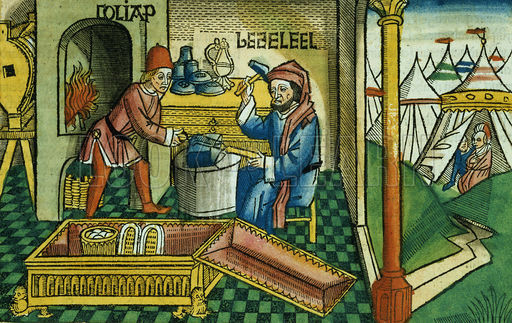 The army carried off some of its gold items as booty, but the ark and its keruvim disappeared from history. When some of the Israelites returned to Jerusalem under Persian rule and built a second temple, they left the Holy of Holies empty. Ever since the destruction of the first temple with its ark and gold keruvim, God’s throne could only be an abstraction or a vision. 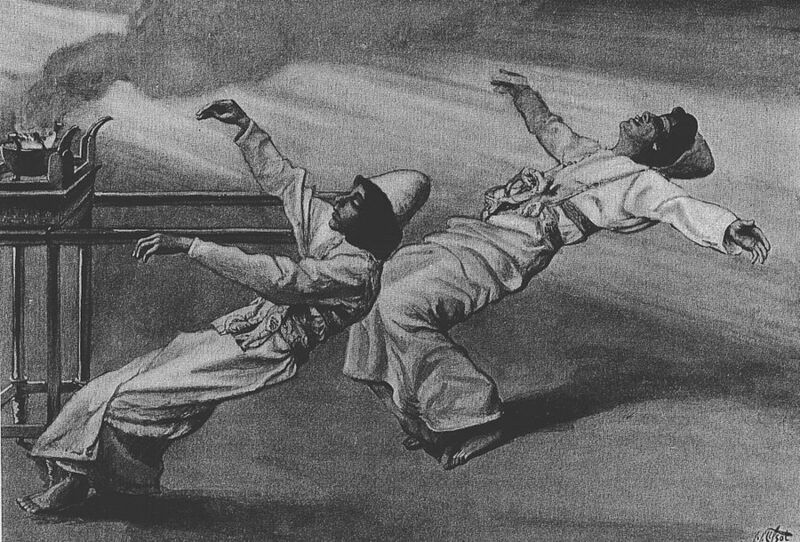 The prophet Ezekiel reports two mystical visions of hybrid winged creatures during the exile in Babylon (Ezekiel 1:4-28; Ezekiel 10:1-22 and 11:22-23). In his second vision he identifies these creatures as keruvim. In both visions, the glory of God (not God Itself) appears as a fiery figure on a throne that looks like sapphire, suspended above four keruvim, each of which is accompanied by an interlocking wheel covered with eyes. Each keruv has a single leg ending in a calf’s hoof, a human body, four wings, a human hand below each wing, and a head with four faces: one human, one lion, one eagle, and one that is called the face of an ox in the first vision and the face of a keruv in the second vision. The keruvim and their wheels move up and down as well as in all four directions, and the throne suspended above them moves along with them. Although Ezekiel does not call this arrangement a chariot, subsequent Jewish writers developed a school of mysticism based on the merkavah (מֶרְכָּבָה = chariot) in the book of Ezekiel. Even without a temple, even without keruvim, the human mind needs poetic images to think about God. Today many of us no longer need to assign God a face, a hand, or a body in robes; we can handle the paradox of God as both invisible and manifest in everything we see. 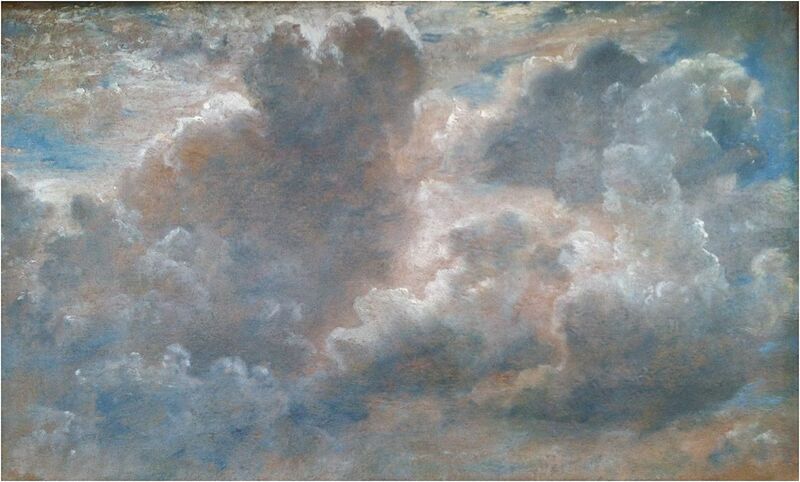 Yet poetic images still well up around the notion of God: clouds, beams of light, opalescent radiance, perhaps even wings. They are not God, yet God is in the imagery. When God Itself seems too abstract, perhaps we can think of something like a keruv, a creation that pulls the presence of God toward us when we need rescue, and that stands at our gateways when we need a guardian. 2 In the first (Israelite) temple in Jerusalem, keruvim and palms are carved in relief on the wooden walls and two sets of double doors (1 Kings 6:29, 32, 34). Keruvim, palms, and lions are engraved on the stands for ten bronze wash-basins (1 Kings 7:36). 5 Exodus 25:22, Numbers 7:89.